/INS. 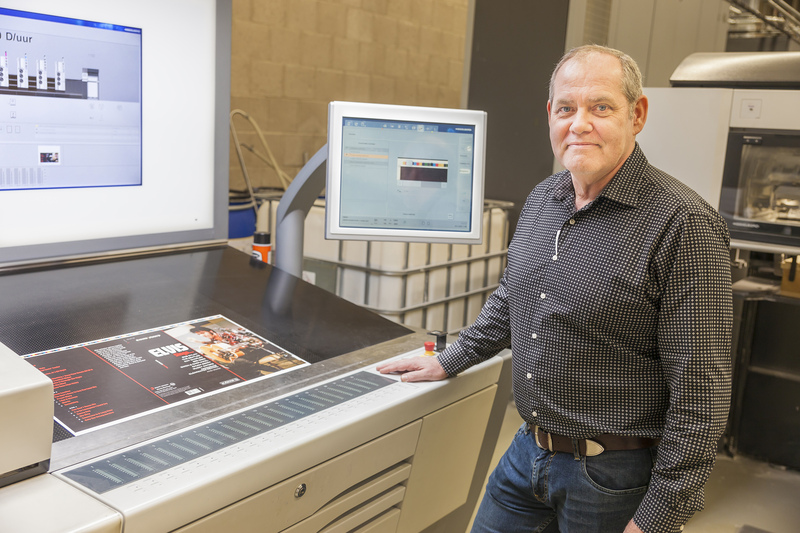 When Ton Vermeulen bought a pressing plant for vinyl records in Haarlem outside Amsterdam at the end of the 1990s neither he nor anyone else believed he was investing in tomorrow’s technology. The seller, one of the big players in the global music market (Sony Music Entertainment), had watched sales gradually decline since the 1980s and then basically disappear as CDs took over. Today the previously low-valued machines are working at full capacity and the company, now called Record Industry, has laid on an extra shift to meet demand. As Vermeulen needed sleeves and labels for his records he approached Wil Pfeiffer of StyleMathôt, a printer based on the same industrial area, to help him out. A few years ago StyleMathôt moved into the same building so Record Industry is now a complete facility for the production of vinyl records, both LPs and singles. 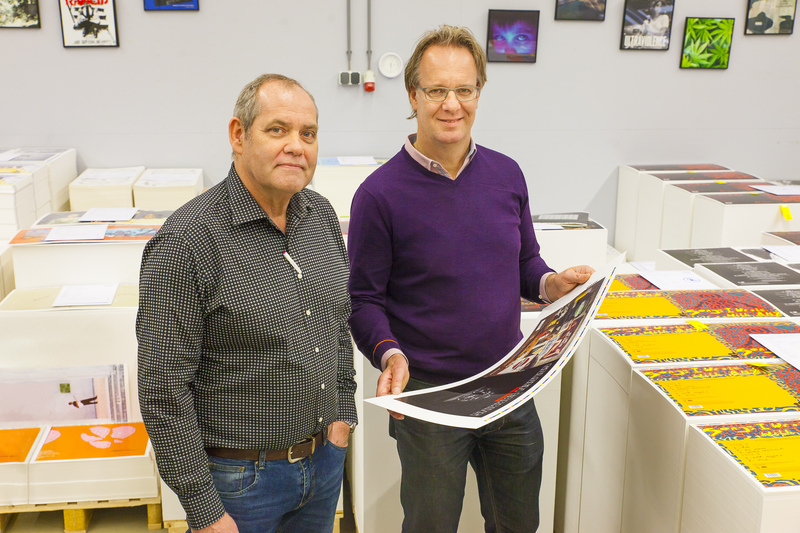 The vinyl pressing plant is led by Vermeulen and his partner Wil Pfeiffer is in charge of the printing presses that uses 70 percent of their capacity to print record covers, sleeves and labels. In the past few years they have seen a powerful upswing in the market. Between 2013 and 2014 alone, global sales of vinyl records rose from 6.1 million records to 9.2 million. He is careful to emphasise the importance of the cover’s quality, a view that is supported by Ton Vermeulen’s analysis of the dramatic increase in vinyl record sales. 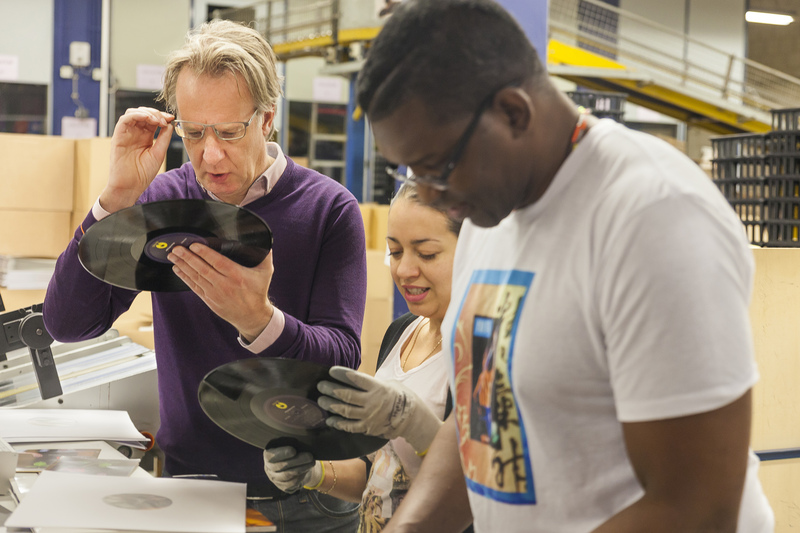 Most of the records produced (on behalf of their customers) are reissues of classic albums by such big names as Elvis Presley, the Beatles, Jimi Hendrix and Miles Davis, though the company also offers and presses a lot of new releases like David Gilmore and Ed Sheeran. The problem with reissues is that very often it can be difficult to find a good source to reprint the cover. The music might be well preserved but the covers have not received the same degree of care. Together with Record Industry, StyleMathôt now has 150 employees and the record production of 2014 was 5,4 million, which increased to 7,5 million in 2015. The company is predicting yet another increase this year up to a total of 10-11 million albums produced. But then perhaps the future can only be bright for a company whose visitors no sooner step into the reception area than they are welcomed by “I Heard It Through the Grapevine” with Marvin Gaye. Played on a traditional turntable, of course.